The cut is over people. O-V-E-R. 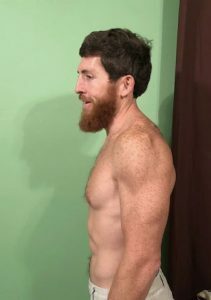 I feel like I am pretty conscious of what I cook for Josh and I, but him being on a cut (meaning a steady decrease in calories to drop body weight and fat) really made me look at how to modify recipes even more, look for recipes that would fit well with his new macro goals, and find foods that would keep him full without busting those goals. 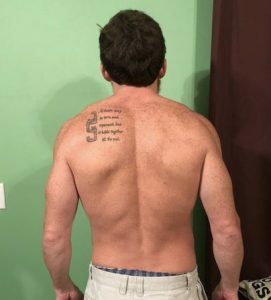 Josh did a 6 week cut. 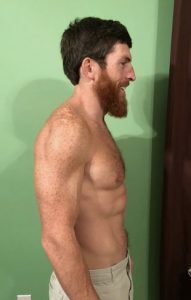 A typical cut, based on the RP Strength program runs for 12 weeks. We have not purchased the templates yet, (I will probably buy one once I stop breastfeeding) but we did purchase the book and Josh based his cut off of their book. 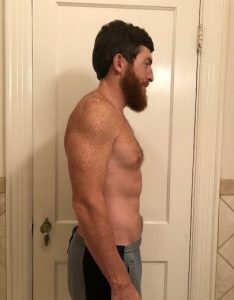 He started out at 12.7% body fat and came down to 10.4%. He started out weighing 173 pounds and dropped down to 166.5 pounds . 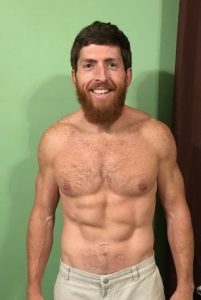 Not to brag but this is amazing considering he “only” cut his calories from 2,500 to 1,900 in a 6 week period. 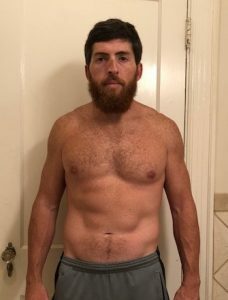 He basically cut out an entire meal per day over the course of 6 weeks. 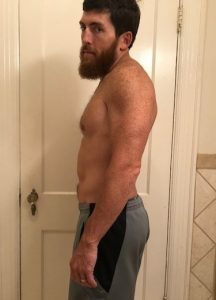 He dropped his calories from 2500 to 2100 and maintained that for 2 weeks, then dropped down to 1900 – 2000 for the remaining 4 weeks. After doing this cut, we can see why people do the mundane meal prep of sauteed vegetables. There were several nights that he was still hungry because a side had too much oil and ate up his calories. When doing a cut it is crucial to be mindful of all the invisible fats that a recipe requires and plan accordingly for that. Used to, I would just pour about what I thought was a tablespoon of oil in the pan to roast or cook in the pan. I could tell Josh was very serious about his cut so I didn’t want my calculations to be off on any of our recipes. I didn’t want my cooking to be the reason that he didn’t see the results he was striving for. I made sure to cut back on the oils and started thinking of more foods that could fill him up without killing the macros/cals. It was difficult since I was not on a cut and he was. I almost needed to cook two separate meals for us. He made sure that he ate several times a day. He kept 3 ounce servings of chicken or turkey on hand to eat every few hours between meals. Doing this kept a steady flow of protein and amino acids to his muscles. He did not want to lose any strength on his cut and he didn’t. 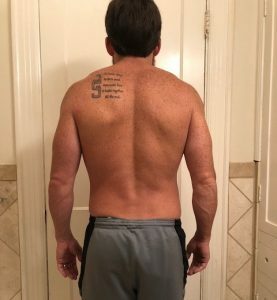 He PR’d his back squat and was able to keep the same intensity level in his workouts, as he did before the cut. We can say one thing for sure, if you are going to do a cut you need to be 100% committed. There is no walking past grabbing a handful of chips or grapes. Nothing goes in without tracking it. The food you eat is very calculated and much consideration is given to what you can eat to keep you full for long periods of time without consuming too many calories. Eating for pleasure is a thing of the past and eating for a purpose is the new focus. If you start a cut, just know that if you put in 100% you WILL see results. Calories in vs. calories out is the only sure fire way to lose that weight in a healthy, natural way. Happy Labor Day everyone! I have the day off so grilling will be a perfect way to spend the day. These chicken kabobs are a great alternative to the typical chicken, mushroom, onion, pepper skewer that we throw on the grill. I love making dressings and sauces for grilled meat, especially chicken. Chicken can be so bland sometimes, but a great sauce can really bring it to life. Fresh lemons and herbs make this a good summer dish. This recipe uses yogurt in the dressing and I can get down with that, since I refuse to use mayonnaise in any of my dressings or sauces. I am going to opt for non-fat greek yogurt or you can even use cottage cheese to up the protein count a bit. Cottage cheese has 27g per serving while greek yogurt has 20g per serving. I have always used non-fat greek yogurt so I am going to keep rolling with that. I might experiment with cottage cheese later though. It’s got all the great flavors of ginger, garlic, and cumin. It should be a great dish! I am going to grill some vegetables while the chicken cooks and serve over jasmine rice. This bowl is very similar to a Korean BBQ Steak bowl that I normally make. This version is only slightly different. I like that it has zucchini, a new paste to try, and all the good flavors of ginger and garlic. You may want to omit or lessen the amount of oil in the pan to cook the vegetables. I have a spray pump for olive oil that I use to coat my pan. Spraying oil on the pan vs. pouring in 1-2 Tbsp of oil makes a big difference. The point is to coat the pan so the vegetables don’t stick, not to soak the vegetables in oil or fry them. Then it calls for an additional tablespoon of oil to cook the meat in the same pan. If the pan is still coated well, omit that tablespoon or spray your pan. If you don’t have a pump for olive oil, use 1 teaspoon and see how that works. All of that oil gets added into your macro counter when you create a recipe. You don’t want to waste calories on olive oil, if you don’t need it! I am excited to try the sesame rice too! If you have been following along the menu for this week, Half Baked Harvest is obviously one of my favorite places to pull recipes from. Her pictures make me want to cook everything she has ever made or become her best friend so I can get invites to breakfast/lunch/dinner. This recipe is a one pan meal and I love it! The less amount of dishes I have to do the better and that means more room on my stove top for other recipes to be cooking as well. It works well for meal prepping to have chicken that needs to brown, while you chop up some vegetables or chicken that needs to simmer for 10-15 minutes like this recipe while you prep other meals. Make sure if you are cooking this that you keep track of the amount of oil you are using in your pan. Do not simply just pour and guess that it is 1 tablespoon, because it is likely more than that. The invisible fat is what can sneak up on you and might be the cause of your plateau in weight loss. I don’t usually repeat a meal this soon, but my goodness the ginger roasted butternut squash (pumpkin isn’t in season yet), mixed with the quinoa and chicken was so much better than I had anticipated. I have cooked this dish several times, but never made it into a bowl. I was afraid the chicken would be dry and there wouldn’t be enough of the sauce to coat it, wrong. There wasn’t really any sauce to this but the squash stayed moist and soft so it paired really well with the chicken. Josh felt like this was one of the most well balanced meals for him while he was doing his cut AND not to mention it is delicious and filling. Win-win. It’s not quite fall yet, but I can’t hold out on my soups any more. I love a good soup and it just doesn’t feel right eating soups when it’s 102 degrees outside. If you have been living under a rock and don’t know, turmeric is a power house of a spice. Not only does it add a punch to your dish, but it helps with inflammation, pain relief, liver function, and good for gut-health/digestion. I just got a turmeric kombucha and can’t wait to try it. This recipe only calls for 1/4 cup of coconut milk, that is it! There isn’t anything in this dish that is going to break your macros (praise hands), which just gets me all kinds of excited!